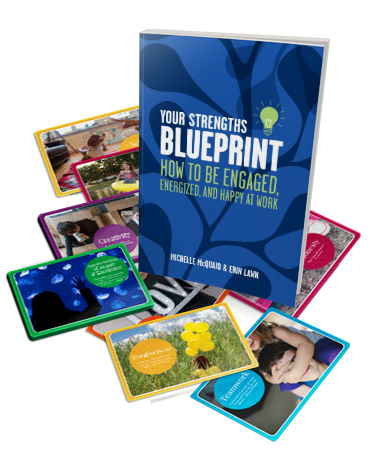 This best-selling book is your evidence-based blueprint to discovering, developing, and delivering on your strengths - those things you’re good at and actually enjoy doing - at work, no matter what your job description or your boss says. Finally start doing more of what you do best each day and help others to do the same. Do you have the chance to do what you do best each day at work? Take a moment and think about it. Do you really have the chance to do what you do best each day at work? The truth is most of us believe developing our strengths, rather than fixing our weaknesses, is the best way to get ahead at work. Unfortunately, few of us really understand how to make this our daily reality. Strengths assessment tools like the free VIA Survey (www.viasurvey.org) are a great way to discover the things you’re good at and actually enjoy doing. But how are you going to use a strength like ‘Love’ at work and not get fired for it! 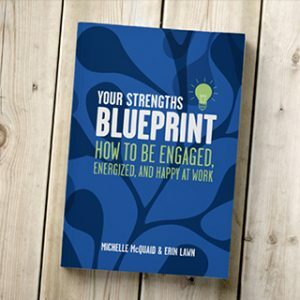 Your very own (physical) copy of our best-selling book, Your Strengths Blueprint: How to Be Engaged, Energized, and Happy at Work: Learn how to use tested tools to help you truly discover your strengths (where you use them well and where you’re underplaying and overplaying them), create a practical plan for developing your strengths at work, and make small changes that help you start doing more of what you do best each day. 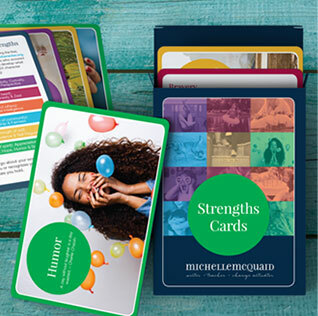 Your own set of our beautifully designed Strengths Cards.Engaging, educational, and practical, these cards feature each of the 24 VIA strengths with easy-to-understand descriptions about how to apply them in workplaces, what you can do to avoid underplaying or overplaying them, and the 11 minute daily strengths habits you can create in any job. 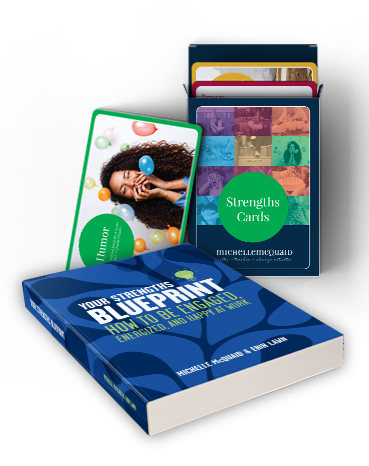 Explore tested tools to help you discover what your strengths are, including a detailed breakdown on how to use the twenty four character strengths as outlined in the Values in Action (VIA) Survey at work. Create a step-by-step, busy-proof plan to put your strengths to work each day no matter what your job description says. 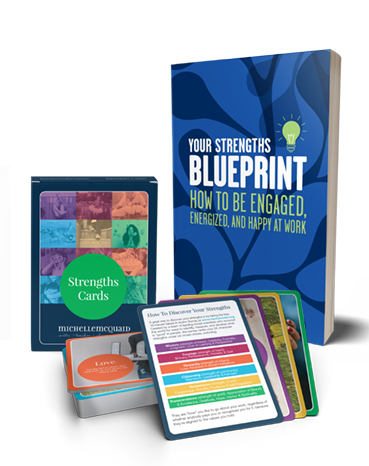 Embed a strengths-based approach into your organization with templates for recruitment, performance management, and performance reviews. Twenty four VIA Strengths Cards grouped by virtues, with easy-to-understand definitions, examples of how they can be overplayed and underplayed at work, and specific, actionable ideas for their development in any job.